To be honest, this project was extremely challenging for me at first and a bit overwhelming. Unlike my sister, who I’m convinced has a pair of heals or sneakers for ever occasion, I’ve never put a ton of thought into my footwear. In thinking through my current set of shoes, I realized that over the past four or five years I ditched the high heels I could never quite walk in for three or so sets of sneakers. I then rotate through these daily based on accessibility as I run out the door — or on how dirt filled they are from outdoor activities. I was almost tempted to send a picture of my bare feet, seeing as most of my time is spent running around without shoes. 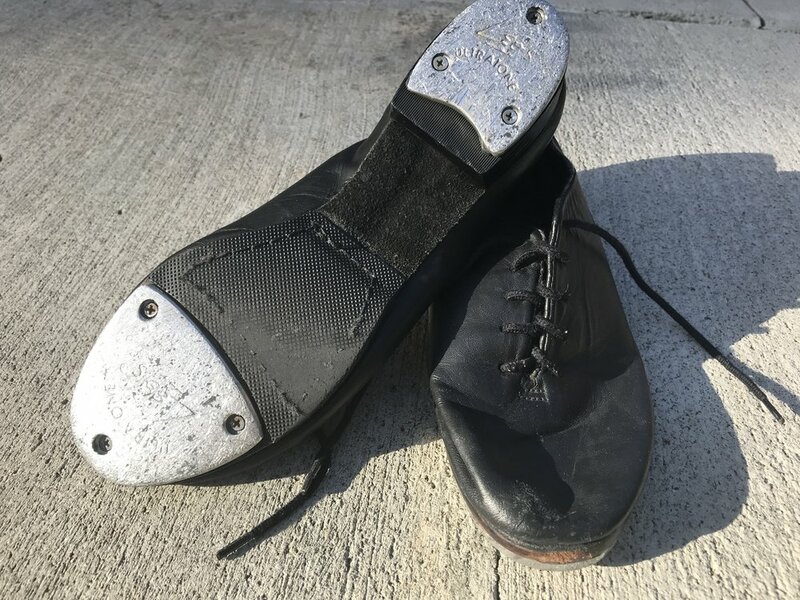 I have fond memories of performing on stage for my parents at dance recitals, breaking out into a tap solo in our high school's musical, gliding across the floor in a college tap class, and even tapping away at my post-college Chicago apartment late night with friends. (I can’t imagine how many neighbors I’ve driven nuts with them.) They - and the pairs that came before them - have been a form of art, expression, and passion for me since my pre-school years. Of all the dance forms I’ve trained in, creating soulful rhythm while expressing myself through movement has always been something truly magical, and I carry a symbol of that with me wherever my gym bag goes.